During our time in Seoul, we didn’t do all that much sight-seeing. 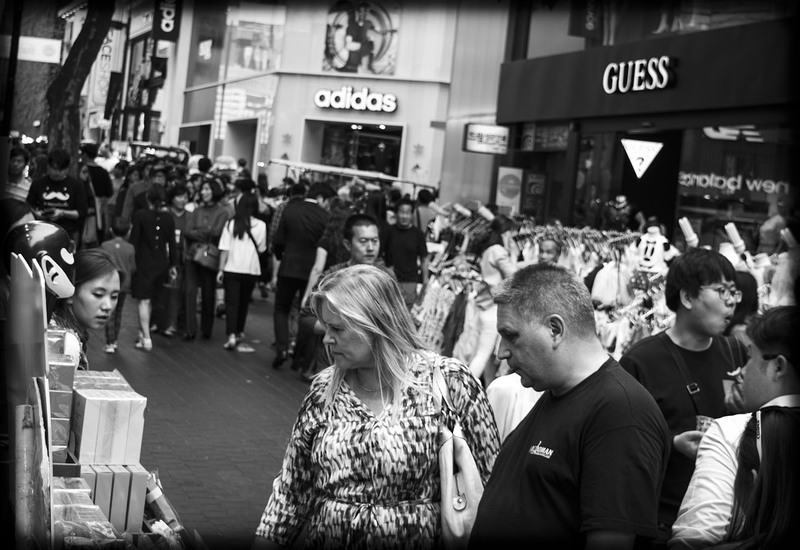 In fact, 90% of our time was actually spent shopping, and the remainder 10% was split between food, taking the subway, and sleep. Thus I didn’t take as many photos as I would have liked. That said, I trucked my camera around every day and I’d’ve been damned if it was for nothing! And so these shots are of average city happenings. 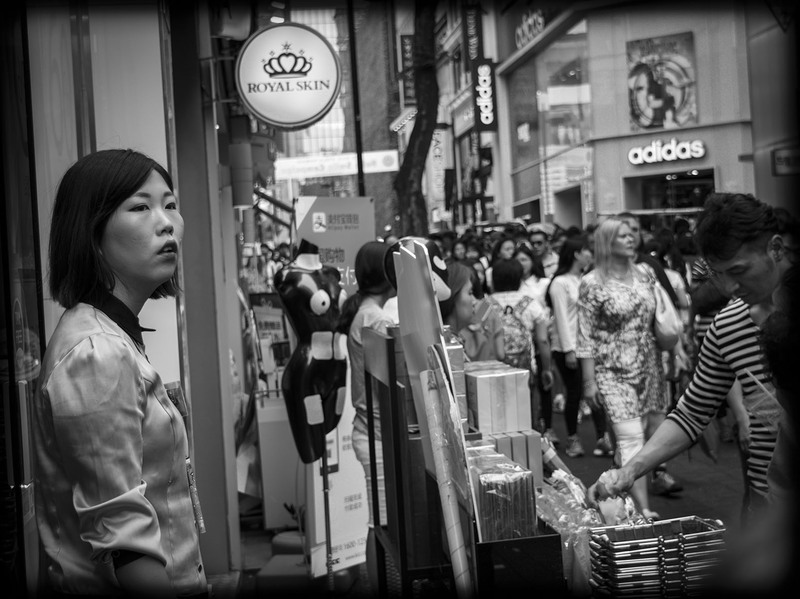 Perhaps not the most exciting, but hopefully visual aids to give you the feel of what it’s like to be in the crushing centre of the downtown crowds and observing the average life of the Seoul streets. 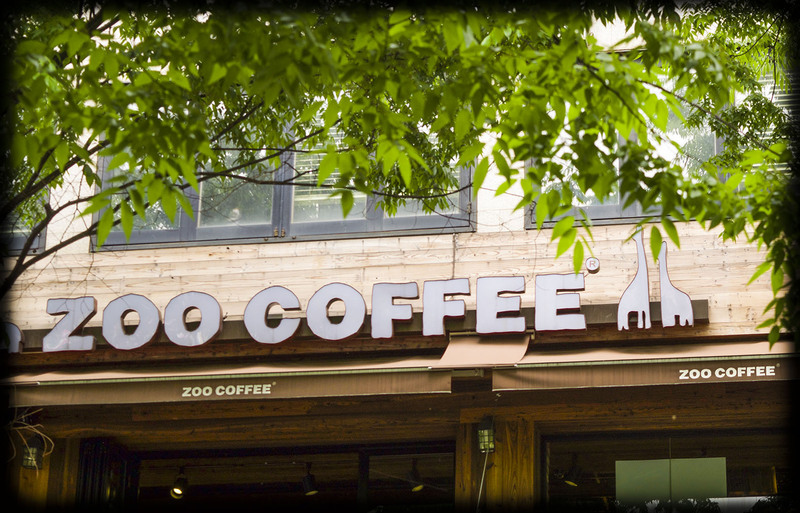 Zoo Coffee: a coffee chain that specializes in animal décor. Ricky and I have one close to our apartment in Cheongju. 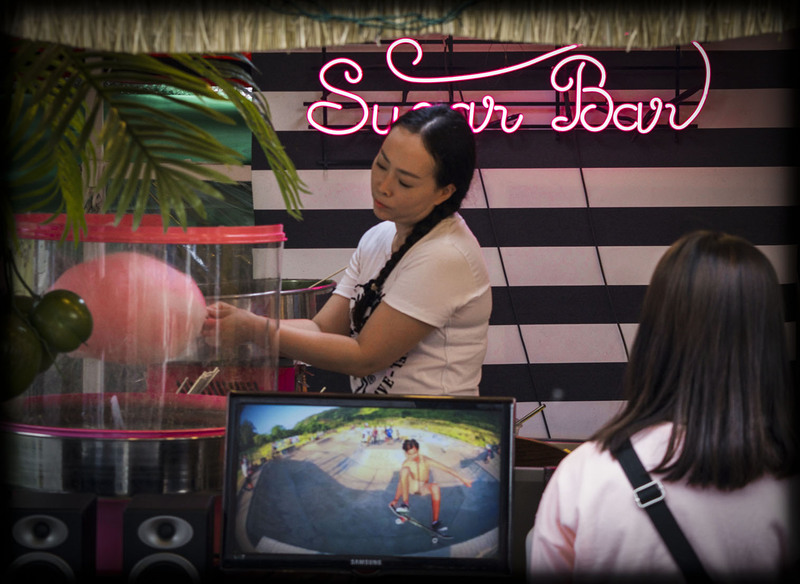 Cotton candy bar, complete with skateboarding simulator on the TV while you wait. 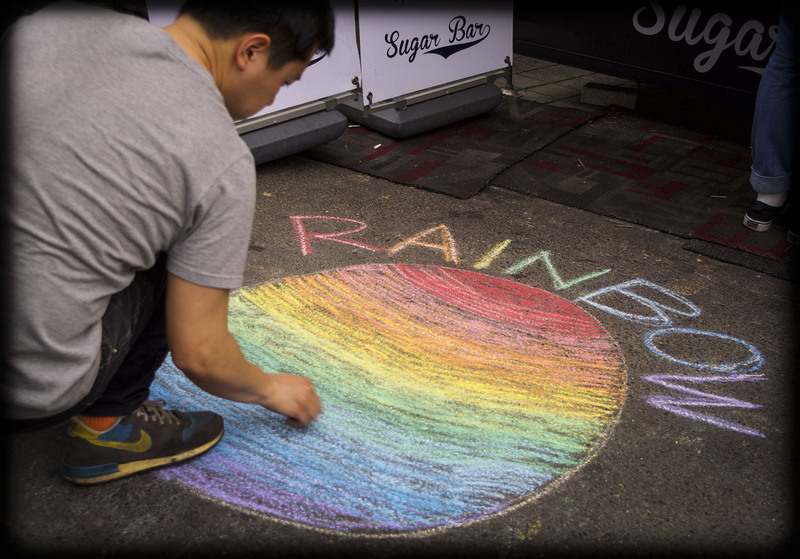 Rainbow chalk advertisement for the Sugar Bar cotton candy stand. 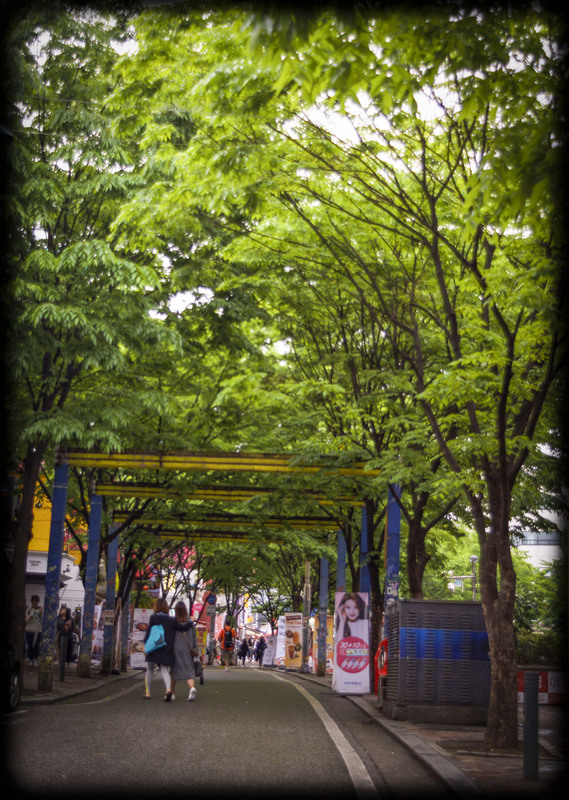 Perhaps my favourite part of Hongdae – tree archways over the central road. Sales rep watches the crushing throng outside her store. The streets pretty much always look like this. Kebab man whose food smells drifted tantalizingly into the nearby Forever 21, leading us directly into line to eat his wraps. So tasty and worth all the mess of lettuce and sauce dripping out. Watching the crowds disperse momentarily while eating our kebabs; a couple takes advantage of this lull to look at a vendor’s wares. 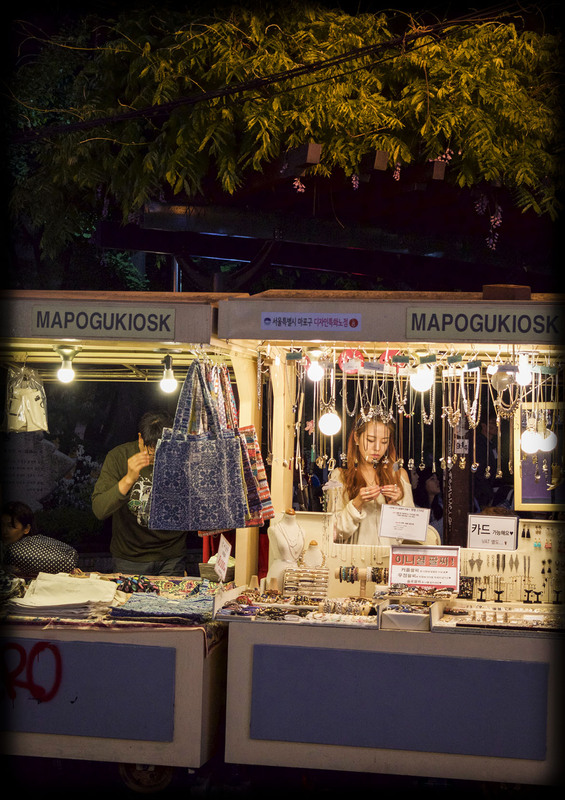 Kiosks with jewelry, bags, and odds and ends for sale in Hongdae Park. Maybe my favourite area in all of Seoul. In the mornings, visual arts students from the nearby universities lay out blankets to sell their work. That’s all for now. Wish I could have taken more, but as it was my battery turned out to be on super low and died in the middle of Ricky and I’s adventure in the Trick Eye Museum. So word of advice to y’all: make sure your batteries are fully charged before a trip! Or forgetting to take the lens cap off !